While Valencia guys were happy about their transition defense, Alba players pointed out the many second-chance buckets their opponents made as a key factor in their loss. 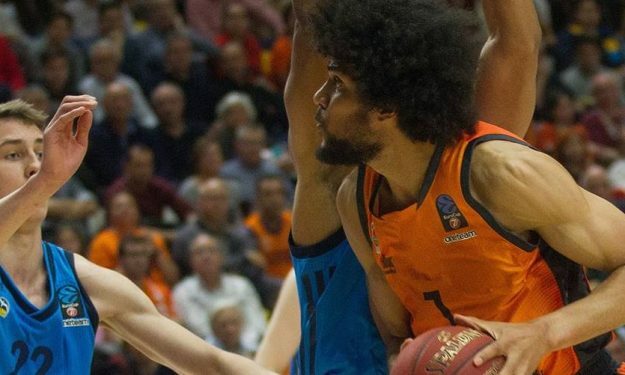 Valencia dominated the boards 42 – 24 en route to capturing a 89 – 75 win in Game 1 of the EuroCup quarterfinals against Alba Berlin. The “Taronja” increased their scoring opportunities with 16 offensive rebounds and made this advantage count with 24 second-chance points. Small wonder that Alba Berlin forward and newly crowned EuroCup MVP Luke Sikma mentioned this difference as the “main thing” for their defeat. And not only for the baskets their opponents made via offensive rebounding. Alba scored zero fast-break points and Valencia coach Jaume Ponsarnau couldn’t help but be pleased with his team’s effectiveness in that department. Now Alba Berlin will play a knockout battle at home in Game 2 Friday (April 12). It will be essential to change a couple of things according to Rokas Giedraitis. Preventing Valencia from getting so many offensive rebounds, is something that won’t hurt.